Pintz, Pizza, Puzzlez | Beaver Island Brewing Co. 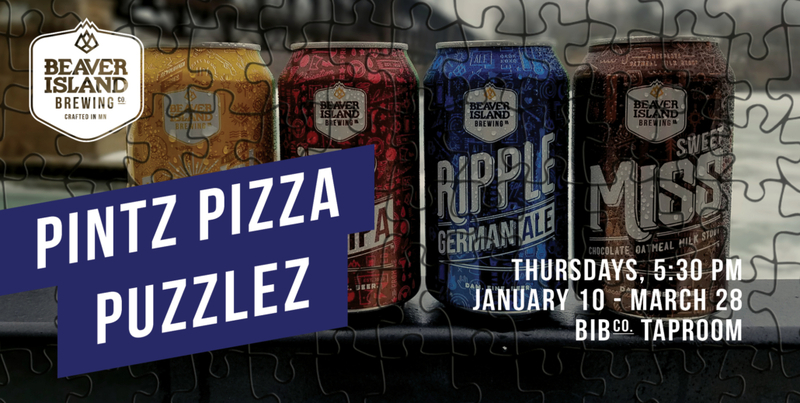 Shake away those winter blues and join us in the Taproom every Thursday this winter for Pintz, Pizza, Puzzlez. We’ll select different games every week, including but not limited to Trivia, Logic Puzzles, Strategy, Jigsaw Puzzles, Riddles, and many more. Co-hosted by 88.1 KVSC College Radio. Pre-register your team in the Taproom each week. $48 per team, up to 4 people. Payment due at registration. Please list names of up to four players, including phone and email for a team captain. Prizes awarded each week.